ReWA helps our clients achieve economic self-sufficiency through comprehensive employment seeking and retention services. Many refugees and immigrants arrive in the U.S. with limited job histories and non-transferable skills, making it difficult to find employment. To break down barriers to employment, ReWA offers Job Readiness Training. 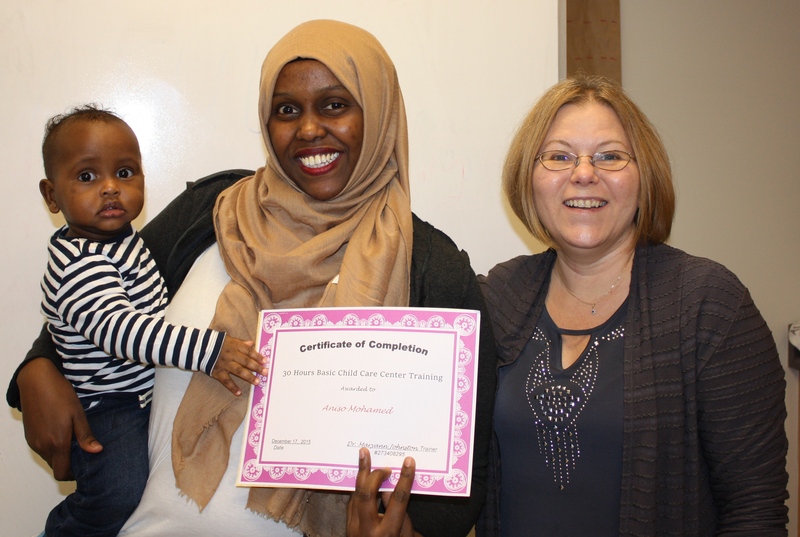 Upon completion of the program, students have all the tools and certificates needed to gain employment as an Assistant Teacher or Teacher’s Aide in a preschool, daycare, or other childcare facility, with plenty of room for growth within the early childhood education field. ReWA is partnering with Service Employees International Union (SEIU) to offer a 5-week Homecare Aide Training program. This full-time five-week program prepares students for a career in health care. Training is free and includes: 70 hours of core training, 50 hours of job readiness/skills training, and a 40-hour internship. As a Worksource Connection site in King County, ReWA offers online access to WorkSource services. These services include, for example, online job search, job seeker resources, unemployment services, and tutorials on topics like resume writing and interviewing. ReWA has two self-serve computer labs open to the public. One is located at our main offices: 4008 Martin Luther King Jr. Way S., Seattle, WA 98108, and at our SeaTac Office: 15245 International Blvd, Suite 207, SeaTac, WA 98188. To learn more about the eligibility requirements for Employment Case Management and Job Readiness Training, please contact Afeworki at 206.721.0243.